No matter what kind of industry you’re in, there are lots of conference opportunities available to you. Sometimes, though, it’s still hard to find a conference that suits your particular needs (and your colleagues’ needs). What should you do in these situations? Why not plan your own conference? When you plan your own conference, you have total control over the speakers, the attendees, and the kind of information that gets distributed. Of course, there’s also a lot of work that goes into putting a conference together. Read on for some tips that will help you create a great conference plan and create an incredible conference experience. If you’ve ever attended a conference before, you know that they almost always are centered around some kind of theme. When you begin planning your conference, be sure to think about a theme for the event. Themes are usually short and catchy. Often, they’re just one word or a short phrase. Pick a theme that people can remember and start referencing even before the conference begins. Your theme will inform all the other decisions you make regarding speakers, decor, and vendors, so it’s important to pick it and stick with it right from the beginning. Your next step is to build a team to help you put together this event. 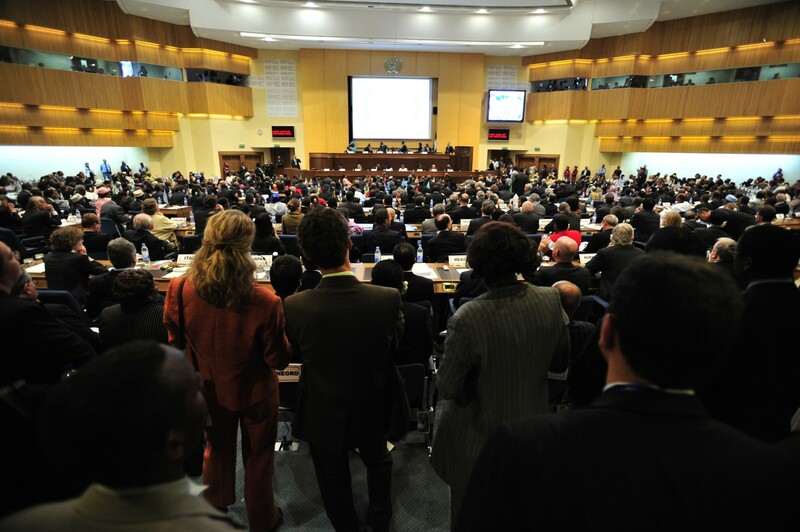 A conference is a huge undertaking, and no one should try to plan it all on their own. Your team can help you nail down a theme, figure out details like meeting venues and hotel rooms, and take over some of the more menial tasks associated with conference planning. This leaves you free to focus on the big picture. One of the first items of business you’ll need to address with your team is to put together a budget. How much can you afford to spend on this event? How are you going to make sure all your payments are met? You’ll likely need to look for outside sourcing of funding to put on your conference. This is where having a team comes in handy. You can put one or two people in charge of reaching out to sponsors and looking for brands that would like to help fund your event. When they’re looking for sponsors, make sure they’re reaching out to companies that align with the theme of the conference. Now, it’s time to choose a date for your conference. This can be very tricky, as there’s always something going on somewhere for someone. Know up front that you’ll never be able to please everyone with your conference date. There will always be a conflict for somebody. That being said, it’s still a good idea to keep some basic rules of thumb in mind when choosing a date. For example, don’t choose a date that conflicts with a major holiday or another big event in your area. It’s best to avoid holding conferences in the winter or summer, too. That’s when people are more likely to be on vacation or spending time with their families. Don’t plan your conference for a weekend, either. More people are likely to attend if it takes place during the week. Now, it’s time to find and book the venue for the event. University campuses and hotels are great options for conferences. You can also look for independent venues if you have a very specific vision in mind for your event. When you’re choosing a venue, think carefully about the number of guests who will attend and the facilities that need to be available. Make sure your venue is wheelchair accessible and has other accessibility services available to guests who may need them. This is optional, but most people are more inclined to attend (and return to) a conference that serves good food throughout the event. Reach out to brands and catering companies that align with the theme of the conference and see if they’re available to provide meals and snacks throughout the conference. Local companies are usually best so you don’t have to worry about transportation and traffic delays. Of course, you need to have speakers at your event, too. Work with your team to come up with a list of people who have important messages to share and whose personal brands and areas of expertise line up well with the theme of the conference. Before you set your heart on a particular speaker, be sure to look into their fees and specific requirements. For example, do they require a transportation service to get them to and from the event? Once you’ve found speakers and vendors, it’s time to start promoting this conference! You need to get people hyped up and ready to register, right? Make the registration process as simple as possible. In most cases, it’s best to set up a website for the event and then create a registration form that pops up and simplifies the ticket-buying process. Make sure the conference website contains all the necessary details about the event — dates, times, speakers, accommodations, etc. Finally, set up a plan to follow-up with attendees after the conference. Have them fill out some kind of survey that reviews their experience and gives you feedback on how you could improve the conference in the future. Feedback is very important if you want to make your conference a regular occurrence, so be sure not to skip this step. Need More Help Creating a Conference Plan? The process of creating and executing a conference plan isn’t exactly easy. It’s extremely rewarding, though. Are you ready to start putting together your first conference? If you keep these tips in mind, you’ll have no problem setting up an event that people will look forward to attending every year. Do you want to learn more about creating a great conference experience? Do you need tips on networking and getting the most out of your conference? We’ve got lots of resources that can help, including this article on fool-proof networking tips. Check it out today!